Fasting on Yom Kippur can be hard enough, but when you’re taking care of the kids, or pregnant, or nursing, it’s just that much harder. It might help to know the minimum requirements, so you can get through the mitzvot of the day more easily. 1. SORRY – Yom Kippur atones for sins, but until we’ve requested forgiveness from those we’ve wronged, those sins are not wiped away by the fast. So during the days before the fast, if possible, get on the phone and make up with those people. Even if you don’t think you were at fault, try to patch up the relationship the best you can (“I just wanted to call and say how sorry I am that you’re upset with me.”) If it’s too difficult emotionally, then at least turn to Hashem and ask that He help free you from your anger and pain, and that nobody should be judged badly on Yom Kippur because of you. 2. PRE-FAST CONFESSION – We daven mincha on the afternoon before the fast with the special Yom Kippur confession (vidui) at the end of it (found in the machzor). If you don’t normally daven Mincha, you could try to at least say the vidui, standing up. 3. SWING IT – The custom on kapparot (with a chicken or money) is a long-standing one; but it’s only a custom. So if your family does it, you should try and get to it. But if it’s too much and you need to miss it for just this year, you don’t need to do annulment of vows (hatarat nedarim). You can do it any time between Rosh Hashana until Yom Kippur (and if you missed it, you can still make it up until Hoshana Raba). 4. EAT AND DRINK– It’s a mitzvah to eat on the day before Yom Kippur, and you should look up some information about good advice for an eating and drinking plan to prepare for the fast, especially if you’re pregnant or nursing. Make sure you finish your last meal (Se’udah Mafseket) well before sunset. Kol Nidrei in shul will start well before sunset, and you also need to light candles before sunset. 5. CANDLES AND NACHAS – Candle lighting for Yom Kippur is extra special. It’s a blessing you say only once a year (“Le’hadlik Ner Shel Yom HaKippurim”), and most communities also say “Shehechianu” as well. If you have family members who have passed away, you should light yahrzeit candles for them. And everyone needs to have a 25-hour candle burning to use for havdala (something special for Yom Kippur only). If you have children, there is a beautiful custom of giving them an extra blessing for Yom Kippur. It’s found in the machzor, but feel free to add your own heart-filled prayers also. Follow your custom – but there’s no reason why the mother shouldn’t give them a blessing as well as the father. 6. DON’T EAT OR DRINK – Fasting is the major mitzvah of Yom Kippur – but some people are forbidden to fast because of the danger involved [click here to read my guidelines for women who are pregnant or nursing]. For those who are fasting, know that your fast is more important than going to shul or even davening. So if you know that going to shul will cause you to break your fast, stay home in the air conditioning. Your husband also has an obligation to help you get through the fast – and he should miss shul to take care of the kids if needed, so you can both complete the fast. Please make special note – it is forbidden to put one’s life in danger, G-d forbid. So if you have any doubts about your health, and especially if you’re pregnant and worried about the health of your baby, please don’t just decide to be strict – get a medical opinion and a halachic ruling. It’s a big mitzvah to take care of yourself. 7. ANNOINTING AND JEWELRY– Anointing is one of the 5 things forbidden on Yom Kippur (1. Eating and drinking 2. Washing 3. Marital relations 4. Leather shoes and 5. Anointing). Even though there’s an argument about it, it’s best to avoid putting on any cosmetics, lotions, perfumes or deodorants during Yom Kippur. Put them on before the fast starts. Wear something nice for Yom Kippur (white clothes remind us of teshuvah and purity), but don’t overdo the jewelry (after all, we are standing before the heavenly court). Some women don’t wear gold, but this custom isn’t held by everyone. Gold wedding rings, glasses frames etc. are certainly fine, according to all opinions. 8. WASHING – Even though it’s forbidden to wash on Yom Kippur, you should wash only your fingers, not the whole hand, upon waking, and all day after using the bathroom. If you get dirty, you may wash away the dirt anywhere on the body – being careful to wash only the area that’s dirty. If you need to use liquid soap for hygienic reasons (such as after changing a diaper etc) this is permitted (try to avoid fancy luxurious soap, as it might come under the category of anointing). If you wake up and need to wash away gunk from your eyes, you can wipe them with slightly moist fingers. 9. SEPARATE – All Yom Kippur you need to separate from your husband just like you do during the niddah days (beds and touching included). 10. PRAY – Ideally, a woman should be davening whatever she prays regularly, as well as Kol Nidrei, Musaf and Ne’ilah. She should also be saying all the confessionals (vidui). If taking care of the kids, or lack of strength means you can’t get to all of that, then at least make sure you say one full confessional (vidui) during the day of Yom Kippur (it’s in the machzor at the end of the amidah). If you’re feeling weak and don’t have the strength to stand, you can daven everything sitting down, including even the Amidah. But, if possible, try to say at least one vidui standing up. 11. Next Year In Jerusalem – So you’ve made it to the end of Yom Kippur – well done! It’s lovely to hear the shofar being blown after Ne’ila, but you don’t have to. In many shuls they actually blow the shofar before the end of the fast – so check the time for the end of fast, and don’t break the fast before that. After the end of the fast, say “Baruch hamavdil bein kodesh l’chol” and then you can turn lights on and off, as well as other melachot. You can drink water right away away, but cannot eat food before hearing havdalah. So, if you need to have more than a drink of water and your husband’s not going to be home for a long while, and you can’t hear havdalah from a neighbor, then you can make havdalah for yourself. It is printed in the machzor. You will need a candle that was lit during the entire day of Yom Kippur, or one lit from such a candle, and a cup of wine/grape juice from which you have to drink at least a full mouthful. Spices are only used after Yom Kippur that falls on Shabbat, and even then, many Sefardim leave them out. On a weekday, the havdalah is short, without the introductory verses, just a Boray Peri Hagafen, Boray Me’oray HaEsh and the Havdallah bracha. It is recommended to have a nice meal after the fast, as long as your stomach can handle it. With blessings for a meaningful and holy Yom Kippur. Rabbi Da’vid Sperling is a senior lecturer at Nishmat: The Jeannie Schottenstein Center for Advanced Torah Study for Women. Thank you! G’mar chatima tova & an easy fast! 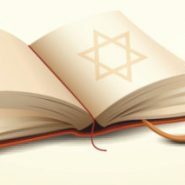 thank you so much for posting this list as well as the one about rosh hashana. Both of them helped me feel much less guilty about all the things i didnt get to do!